Since its founding in 303 AD, the Mother See of Holy Etchmiadzin has been the preeminent site of the Armenian Church, inspiring millions of faithful and preserving some of the earliest practices of Christianity. Situated in the modern Republic of Armenia, Holy Etchmiadzin has maintained a long tradition of promoting Christian unity and interfaith dialogue. As its faithful children have settled throughout the world, building their distinctive Armenian sanctuaries in locales as varied as Buenos Aires, Paris, Singapore, Moscow, New York, Los Angeles and Chicago, Holy Etchmiadzin has continued to play a central role in the life of Armenians, as a spiritual authority, vibrant cultural center and place of pilgrimage and prayer. 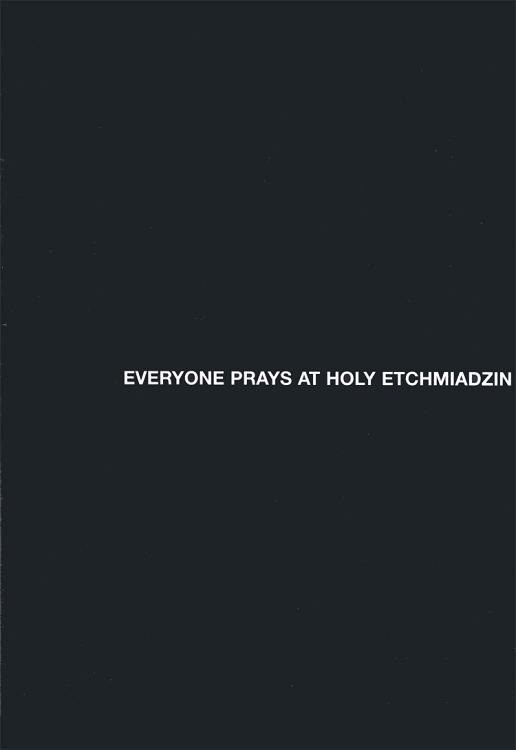 Everyone Prays at Holy Etchmiadzin documents the daily life and seasonal passages of this ancient Christian center, using footage from major feast day celebrations, as well as from visits of spiritual and secular leaders. The film also highlights the work of Karekin II, the Catholicos of All Armenians, and shows his 2007 pontifical visit to the United States. A production of Diva Communications under the direction of the National Council of Churches and the Diocese of the Armenian Church of America (Eastern), Everyone Prays at Holy Etchmiadzin shows why Holy Etchmiadzin continues to light the path of its people today.